That’s realistic, right? 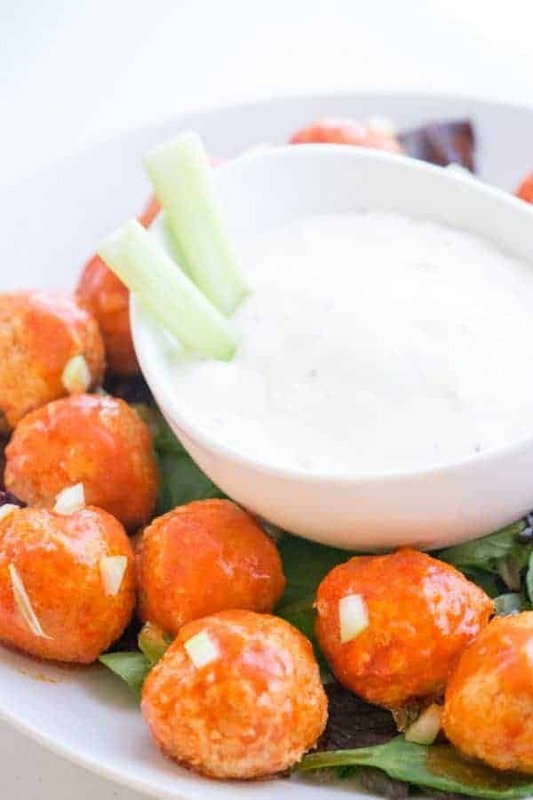 But for reals – besides the magic that is pineapple infused tequila – for people like us that could eat buff chick dip with shoe leather these meatballs are a GAME CHANGER. Sorry for all the caps. I’m not yelling, I’m just excited. Meatballs are good. Blue cheese is good. 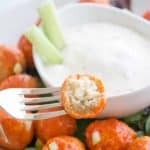 Buffalo chicken? One of the best culinary creations of the 21st century. Put all those great things together and you get a little round piece of heaven. 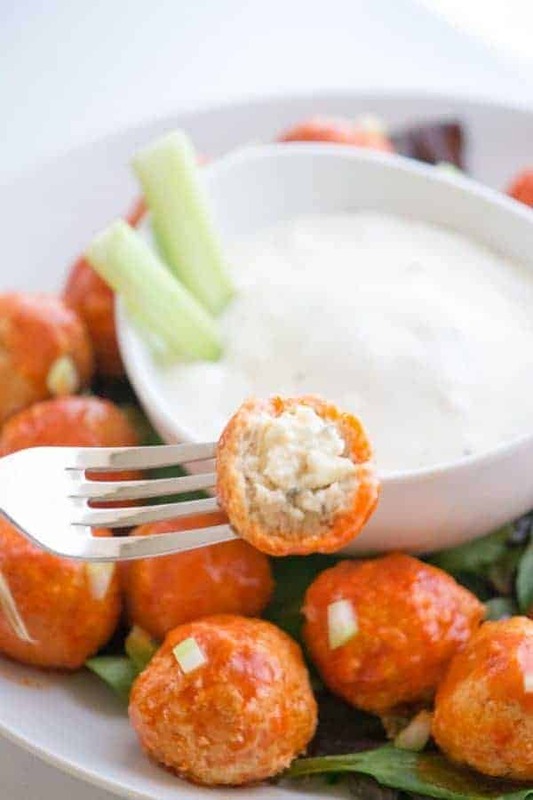 After your first initial bite into the tender chicken, your mouth will be surprised with a contrast of spicy buffalo sauce to be relieved by a gooey, blue cheese center. Beyond all those amazing elements, we’re going to go ahead and make this even better. Cook it in a crock pot. After two hours are up, it’s time to serve up these spheres of culinary bliss. A side dish of blue cheese dressing is always a win. If you’re going all in on blue cheese, you might as well double down. For those you saying, “Hey! Where the veggies at?” Well, let’s chop up some celery nice and small and sprinkle it all over the plate for the perfect amount of crunch in every buffalo spice bite. And just like that it’s game time. May your snacks be as exciting as the Super Bowl without any of the stress. In a large bowl, combine the ground chicken, breadcrumbs, eggs, salt and pepper. 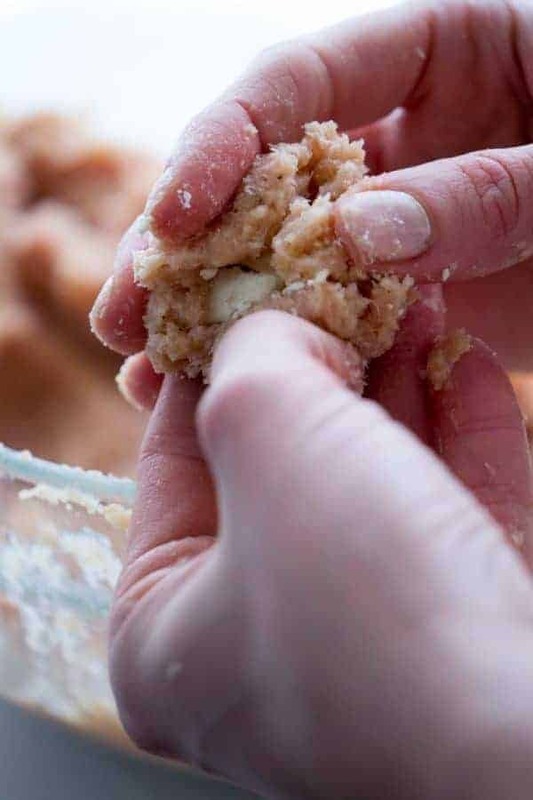 Mix thoroughly to ensure ingredients are evenly distributed. Repeat the chicken, cheese, rolling process until all the chicken is used. Scatter pieces over butter over the top of the meatballs. Cover and cook on high for two hours. 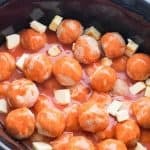 After cooking, gently stir meatballs to evenly coat with hot sauce and to stir in any separated butter. Transfer to a serving dish and coat with remaining buffalo sauce from the crock pot. 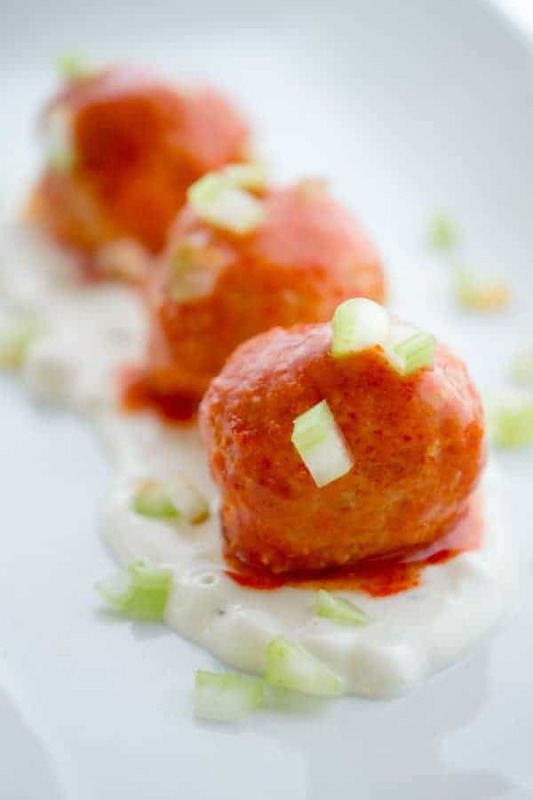 Sprinkle the buffalo chicken meatballs with chopped celery. 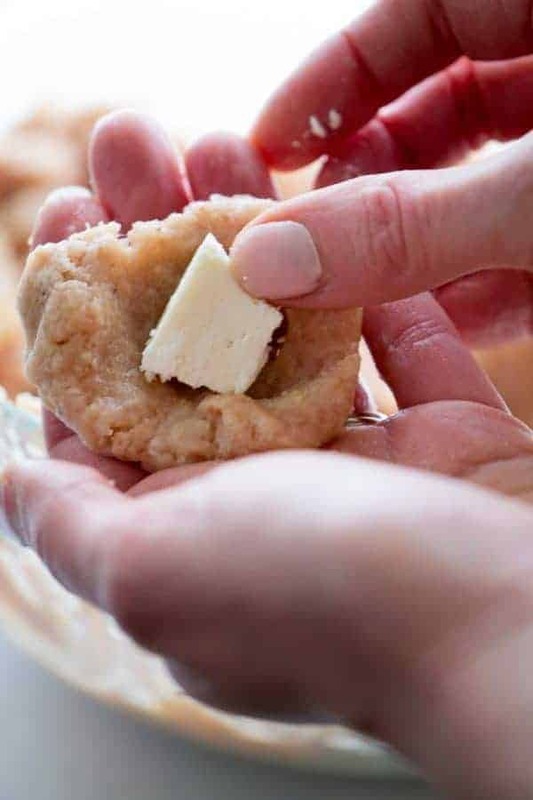 Serve alongside blue cheese or ranch dressing for dipping. 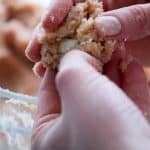 *Ground chicken mixture will quickly stick to your hands. To make the process easier, keep a small bowl of water nearby and lightly wet your hands throughout the process. 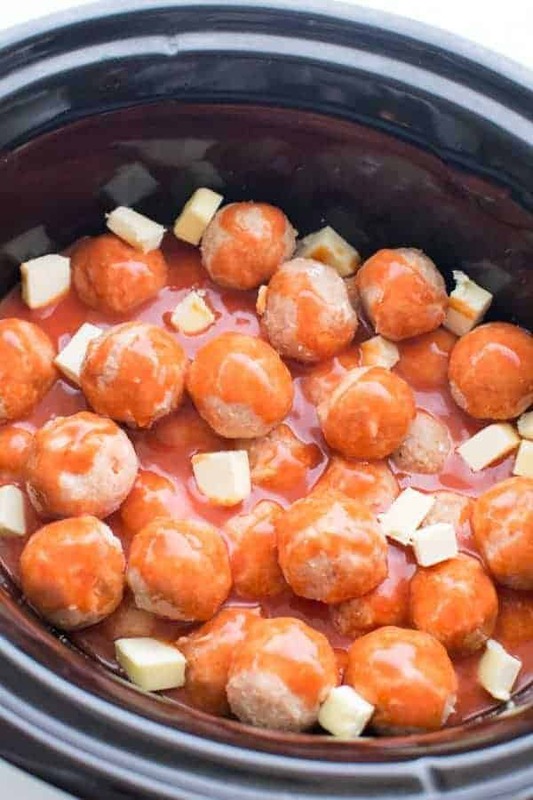 **Hot sauce will not completely cover all the meatballs. If some of the chicken is not coated with hot sauce, stir about halfway through the cooking process. 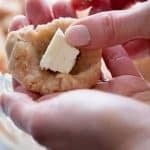 I am definitely adding these to my next family dinner appetizer bar.